Just today I found myself wandering through a sporting goods store thinking about the days as a kid sweating it out chasing the flies and rocking the ropes course. I don't know about you..but I have lots of plans to live vicariously through my son in the summer time! Camping is an awesome summer activity for so many reasons. But with summer camps-you're kids are EMBEDDED (like my nerdy tech term) in nature!!! No Wii, iPad, laptop. Just your kids & bugs. 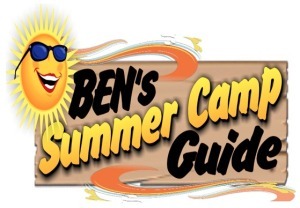 Ben FM has put together an amazing summer camp guide that can fit every camp genre you can possibly imagine! From sports to journalism to just plain outdoor fun - we are sure to have a great camp for your kids! This 5-week Summer Language Arts Camp is designed for students ages 6 to 12 who can benefit from reading and writing beyond the regular school year in a fun recreational day-camp experience. 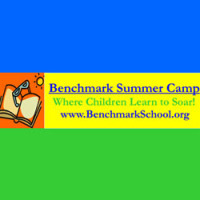 The time at Benchmark combines their nationally recognized language arts program with extensive recreational activities including an outstanding Confidence Course with emphasis on developing confidence and sel-esteem at work in the classroom and at play with peers. Deep in a gorgeous 66 acre corner of Williamstown, New Jersey you'll fine this super fun - gem of a summer camp! If you're looking to start your kid off at 1/2 days or full days-even EVERY DAYS Tall Pines is a great fit! There really isn't much better than the smell of pine trees and pools in the summertime is there? 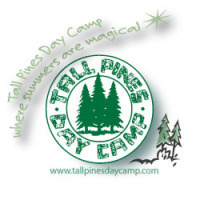 Campers at Tall Pines Day Camp will be able to choose from among many expertly guided, age-appropriate programs in athletics, nature, computers, and the arts. Through the combination of these varied activities, campers of all ages will maximize their summer-time fun while maintaining a recreational balance. Tall Pines is filled with activities from kids ages 3 and up.